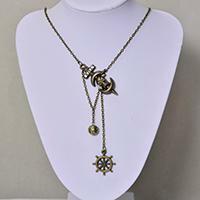 This PandaHall original DIY project is about making a Tibetan style pendant necklace, if you are searching for Tibetan style jewelry designs, don’t miss this one! 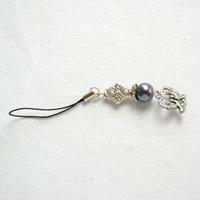 Wanna make some vintage necklaces for men? 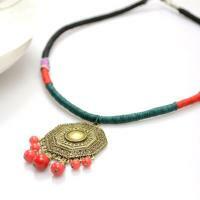 Maybe this easy handmade vintage necklace will be a good choice for you. It's very easy to make. 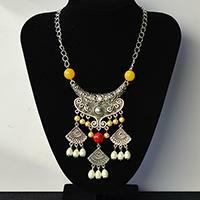 Do you like vintage necklace? 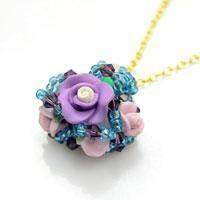 In today's Pandahall tutorial, I'll show you how to make a vintage seed bead flower necklace. 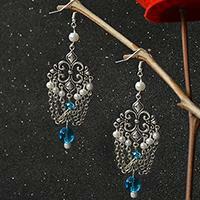 This is a jewelry DIY project about making wire wrapped jewelry. 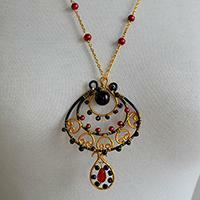 I will show you how to make a vintage wire wrapped necklace pendent necklace with beads step by step. 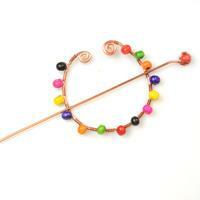 Today I will show you how to make vintage hair accessories, hope you like this wire wrapped hair accessories. 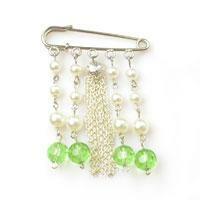 Today, this free beaded brooch patterns is entirely about how to make a beaded brooch pin with pearl beads. Hope you will like it! 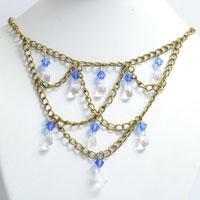 Learn how to make gothic chandelier necklace for women with chains in pandahall learning center. Never miss it! This is a pictured tutorial shows how to make a flower cluster pendant for a necklace. 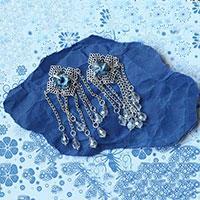 By using easy beading technique, you can finish your one-of-a-kind flower pendant necklace! 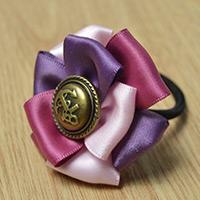 If you like distinctive flower hair clips, you must like this one. 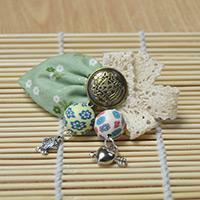 This is a flower hair clip made of fabric and lace with polymer clay beads pendants hung on there. This time I will give you a tutorial on how to make a layered ribbon flower elastic hair tie. 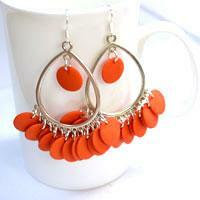 Such a cute little thing, you will like it very much! 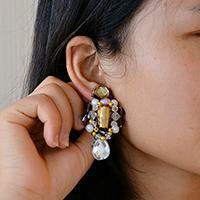 This is a step-by-step instruction that shows you how to make long chain earrings in vintage tone. No skills required except one wire wrapping technique: Covering a Briolette! 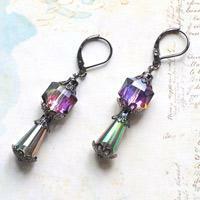 In this tutorial, we want to tell you an idea about making a vintage mobile chain. Do you need a mobile chain now? You can make it with our instructions. 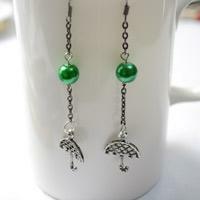 In this tutorial you will learn how to make a pair of dangle earrings with pearl beads and umbrella charms. 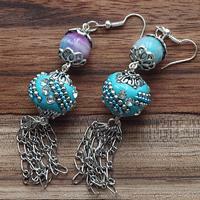 The retro style earring tutorial is to show you a one-step way about making glamorous times earrings with multi-sized electroplate beads. 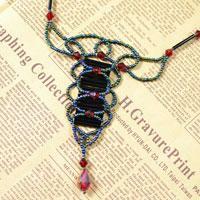 This string necklace making tutorial is all about how to make a necklace with black, red and green strings. 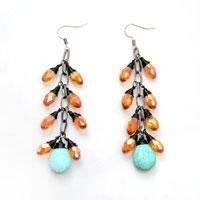 No intricate knotting skills or tools required!